Successfully Added NO.1 F4 Fitness Tracker Bracelet - 0.96 Inch OLED Screen, Bluetooth 4.0, Multi-sport Mode, Heart Rate, Blood Pressure (Blue) to your Shopping Cart. 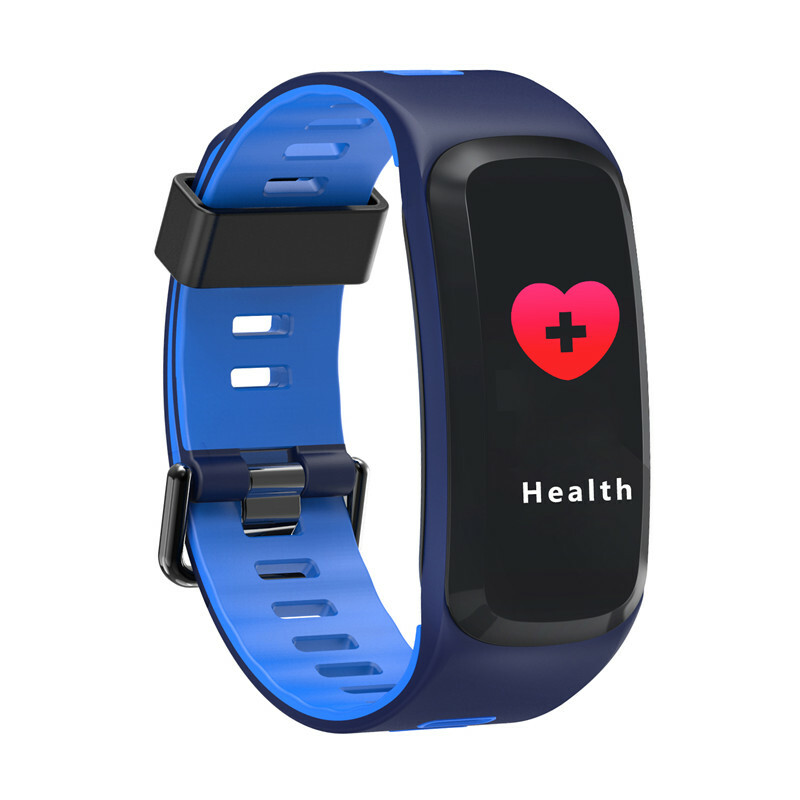 The NO.1 fitness tracker bracelet comes with acceleration sensor and heart rate sensor to keep track of your daily activity levels and monitor your heart rate, blood pressure and blood oxygen to increase your health. Multi-sport mode to provide data monitoring for professional sports algorithm. Unlimited movement, whenever necessary with this bracelet you can handle everything. APP will transfer data to the watch so you can check the altitude, pressure, whether to always pay attention to your outdoor environment to help you exercise worry-free. Also, APP will record your GPS trajectory with accurately record miles per mile, calorie data and after exercise, the data will be stored so that you can check easily. 130mA battery to make up to 10 days standby time and build in Nordic Bluetooth processing ship with low power consumption 0.96 inch OLED screen to give you perfect experience. The fitness band itself is made of a soft TPU material which makes it comfortable to wear. It is furthermore life-waterproof thanks to which you won’t have to worry about it accidentally getting wet. With its simple design, this fitness tracker bracelet can be worn together with any of your outfits.